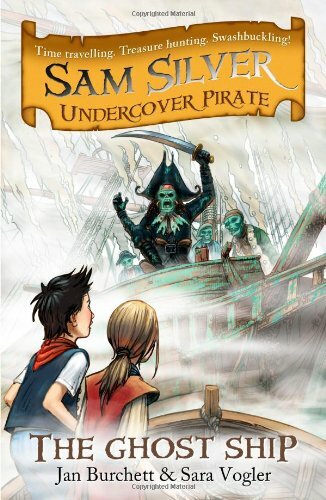 The first two titles in this new adventure series for children aged six years and up, Skeleton Island and The Ghost Ship will appeal to youngsters with a sense of adventure. Sam Silver is our hero, a very ordinary modern boy who lives in a seaside town where his parents run the local fish and chip shop. 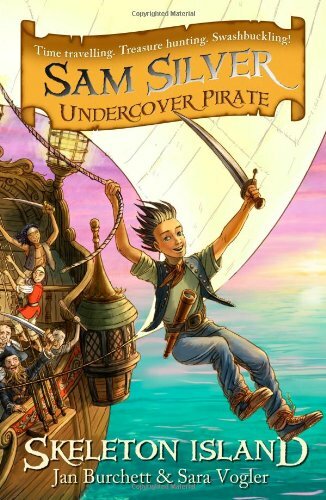 While beachcombing Sam comes across a message in a bottle which he thinks will add nicely to his treasure collection. It is when Sam is trying to clean up the bottle’s other treasure, a dirty old gold doubloon, that the magic occurs. Rubbing the doubloon transports him back to 1705 and a pirate ship named the Sea Wolf. Where Skeleton Island spends a lot of time setting the scene and building relationships, The Ghost Ship plunges us straight back into the pirates’ domain, where the fearless (well, almost) Captain Blade is determined to board the ghost ship that is haunting the seas and hording the treasure. Both stories make pacy, enjoyable reads which should appeal to girls and boys. Action, drama and adventure combine, but in a safe setting with plenty of derring-do but little real fear. It helps that Sam, who is as ‘everyman’ as you can get, laps up the danger and is always thirsty for more. This series will make a nice entry into adventure stories for young buccaneers.